This Sunday I was in the mood for muffins. I just love a nice soft muffin to go with my morning cup of coffee. I have a 5 pound bag of Granny Smith apples that I needed to use up. I love to eat apples, plain but this past week I chipped my crown. My dentist said no hard foods until I get the crown replaced. Figures, that happened the day after I bought my apples. 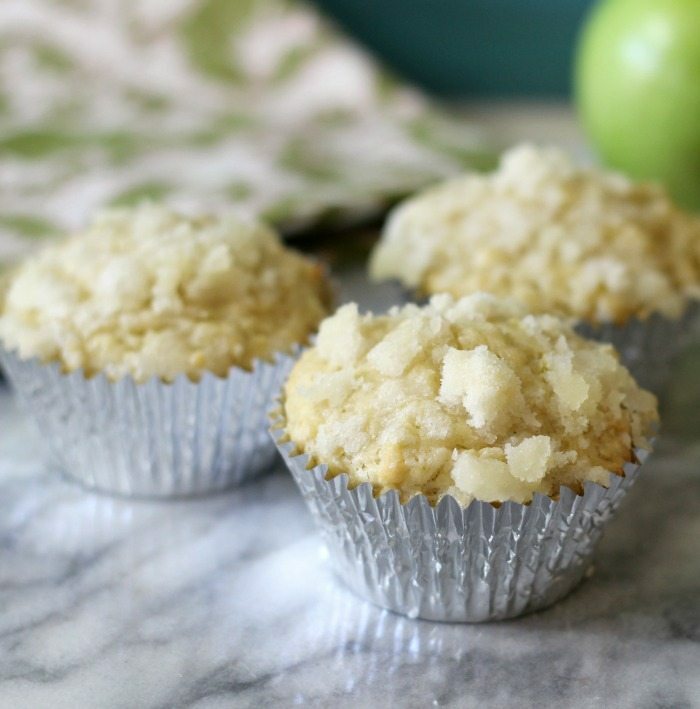 I couldn’t let good apples go to waste so I am using them in recipes and the first apple recipe is my Apple Muffins with Streusel Topping. Yum! 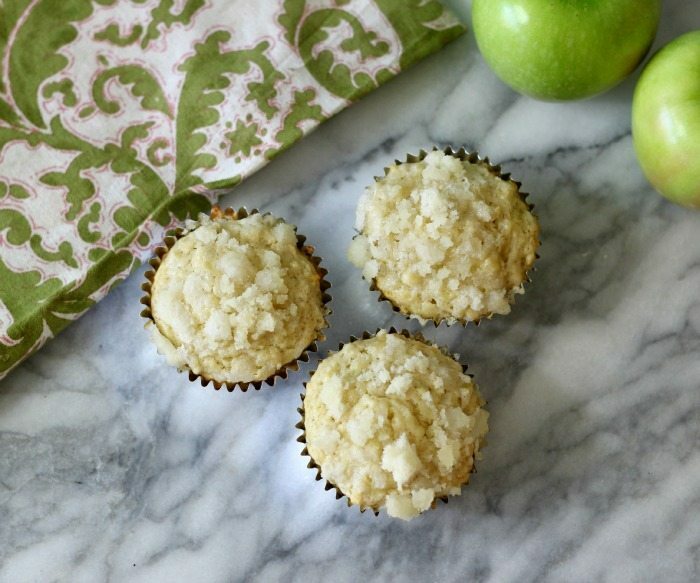 These muffins are light, moist and have a delicious apple flavor. I shredded my apple for this recipe so I didn’t have the chunks of apple, but if you like chunks of apples instead, you can certainly chop them up. For the topping I used a simple streusel topping which is made with sugar, flour and canola oil. It taste just like the topping of a Starbucks Blueberry Muffin. You will just love the topping. The recipe is super easy to make. It’s basic ingredients such as butter, flour and eggs. 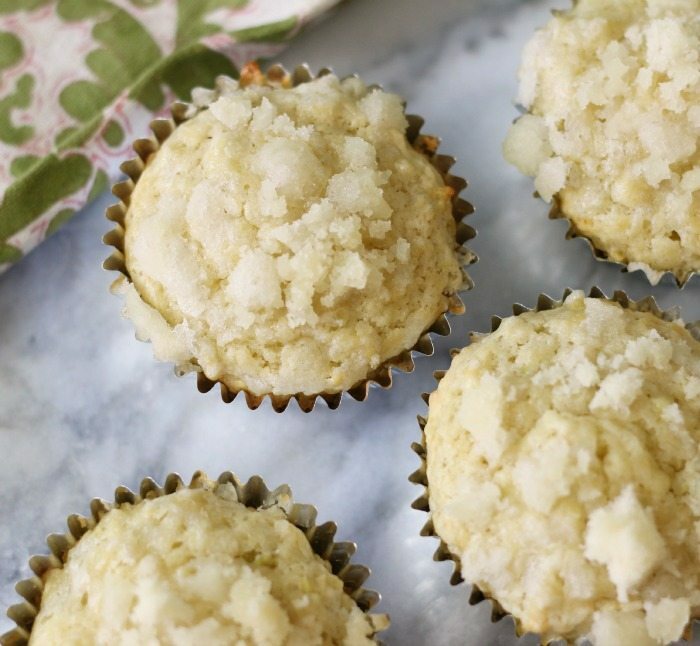 The key to a good muffin is not over mixing the batter. I tend to do that sometimes. That is why I mixed my apples in just before adding the flour mixture. I just baked theses for 20 minutes and they were done. I think I am in love with my new muffin recipe. 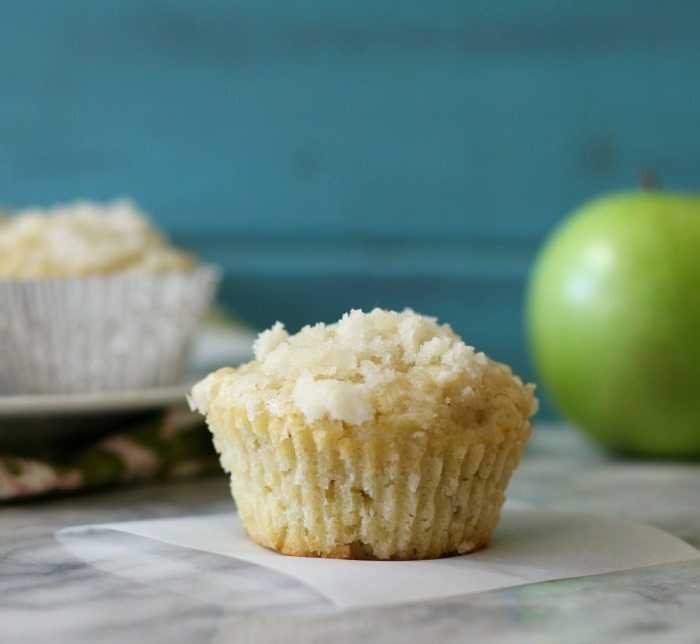 A simple, moist muffin chock full of shredded apples and topped with a sugar and flour struesel. Line a standard muffin tin with muffin liners or spray with cooking spray; set aside. In a small bowl; make the streusel topping. Add sugar, flour and canola oil. Mix until incorporated; set aside. In a bowl, add flour, baking powder and salt; mix until combined. 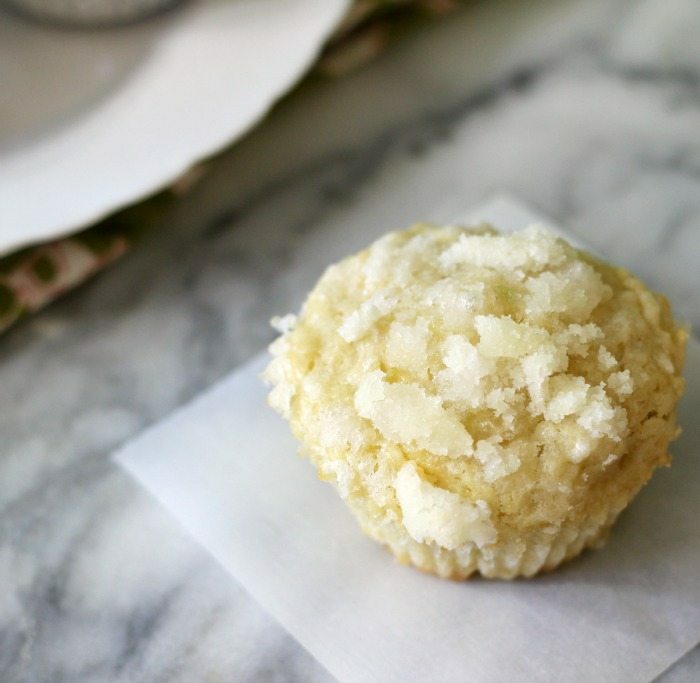 In a large bowl, beat together butter and sugar until light and fluffy. Add eggs, vanilla, milk and cinnamon; mix until combined. Add apples and flour mixture. Mix until just incorporated. Evenly divide batter between each prepared muffin tin. Evenly divide streusel topping on top of batter. Bake in oven for 20 to 25 minutes until center comes out clean on a toothpick. Let cool for 5 minutes in tin, then place on a baking rack to cool completely. Ooh these are delicious! My toddler will love these – he is crazy crazy about “apples” or “apeez” as he calls them, haha! Thanks for the recipe! How cute! 🙂 I am so glad you like them. Thank you for letting me know.